Eastern bluebirds are everybody's favorite it seems but there are a couple of common species just now arriving that are even more blue. Look for blue grosbeaks and indigo buntings in open country and along many of the county greenways where there is plenty of sunshine. They may even stop in to check out a well-stocked feeder so keep a lookout. 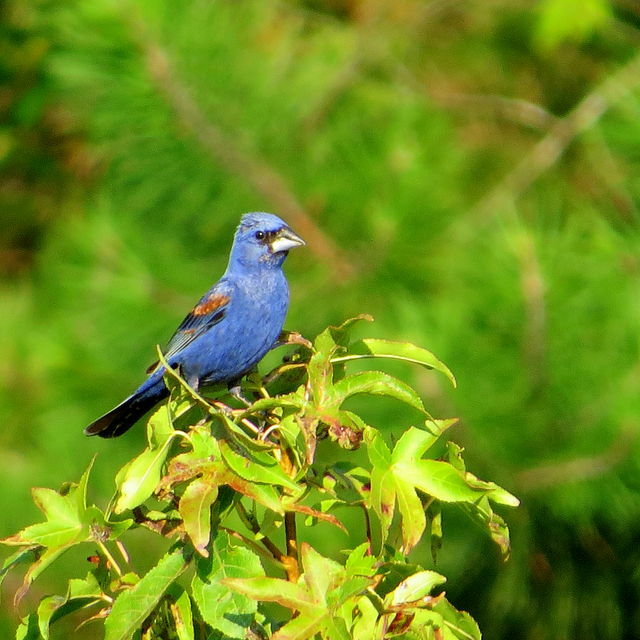 More purplish than truly blue, the blue grosbeak is still a striking bird when seen in full sunlight. 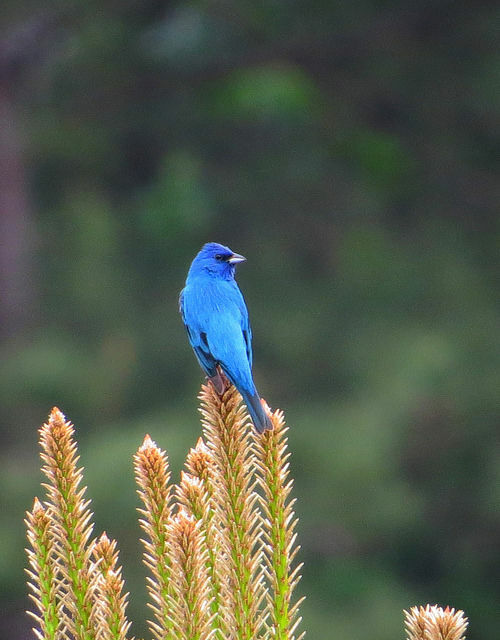 The indigo bunting male seems to actually glow blue in the right sunlight. They are common but small. Killdeer are notorious for building their nests in areas of high human traffic. This strategy seems to work; killdeer are very common and successful. This bird pictured below has scraped out her nest in the middle of a community garden where folks go every day. I checked it out last Friday and could see how the little birds see no problem building where they do. This mother bird was fearless, coming right up to within inches of my feet to drive me away. The flared tail and drooped wings give the impression the bird is injured; an ingenious ploy to lure predators away from the site. After just a few seconds I walked away, being escorted by the parent leading me right out the gate. Here is a close-up of the four eggs, perfectly camouflaged if they were on a gravel substrate, which they often are. This nest scrape is in a mulch / wood chip mixture. Here's profile a shot of an adult bird. Rose-breasted grosbeaks arrived in full force last Friday April 22. I received multiple reports of the males showing up at sunflower feeders that day. 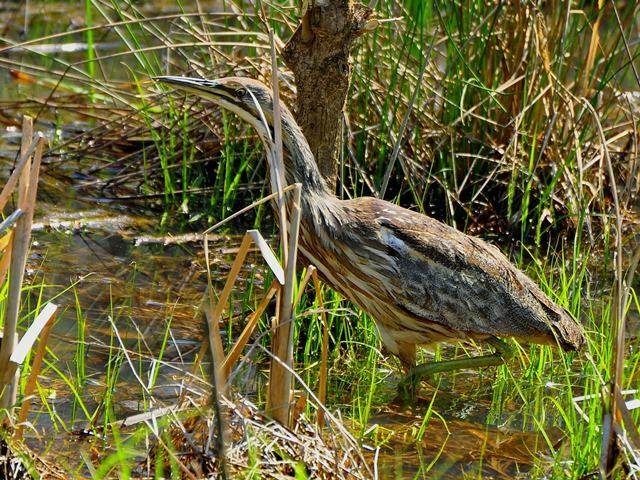 Over the weekend I received more photos and even saw three birds myself at Latta Park yesterday. Keep the sunflower feeders stocked for a few more weeks. 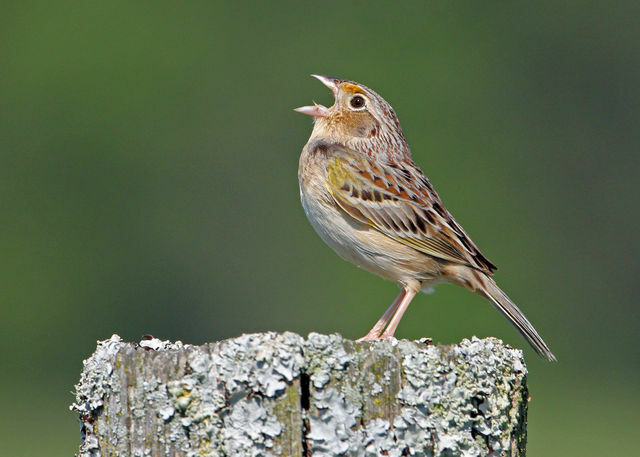 If you do, you may be lucky enough to enjoy one of these striking birds at close range. They are only passing through so the time frame is brief; only to about May 8. I got a report that a Western grebe might be hanging out off The Point development in Iredell County over the weekend. After contacting the reporter i was able to drive down Brawley School Road to a cove near the Lake Norman Yacht Club. Within a minute of scanning the cove and the open water of the main channel I was on the bird. 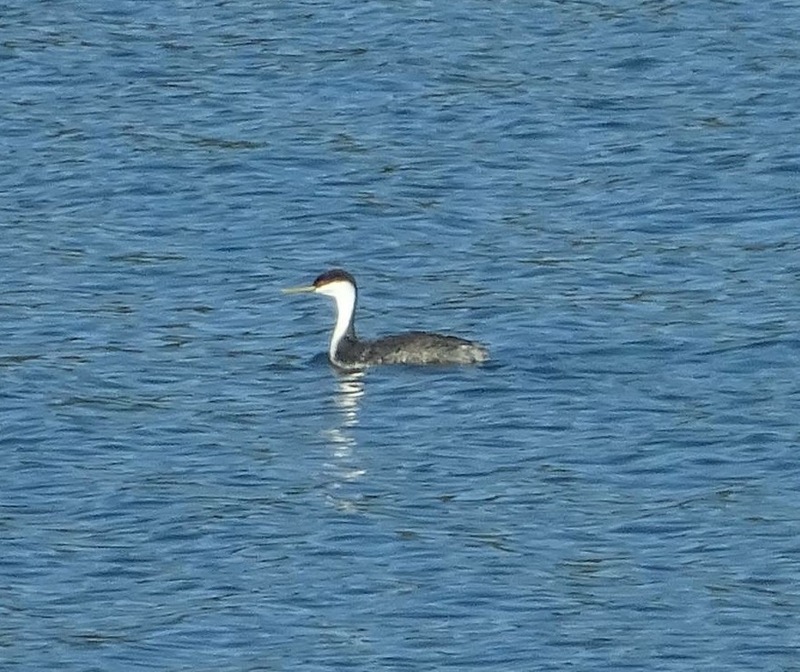 A Western grebe is a bona-fide rarity anywhere, anytime in North Carolina. There are only a handful of records for the species from the Piedmont, and only one previous from Lake Norman. I was lucky enough to see that bird in 2006 near the Cowan's Ford Dam. The are more records from the coast but they are still very rare on the ocean and sounds too. 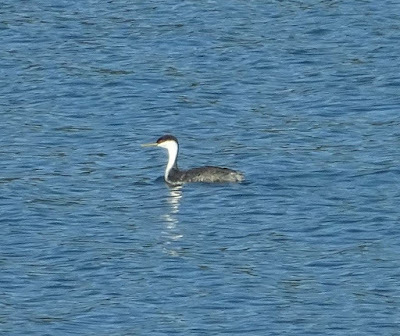 Western grebes are large, strikingly marked water birds; twice as large as the familiar horned grebes that winter regularly on Lake Norman. 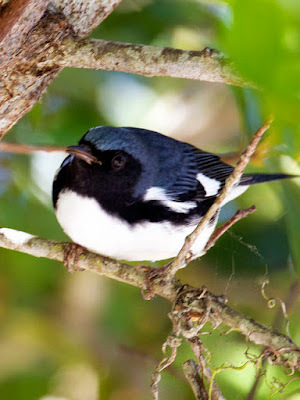 Their range includes most of the western United States but clearly a very few individuals come east in the winter. This bird seems to be taking it's time heading back west. It's photo is below. Since the bird is in Iredell County, I won't be able to add it to my state or Mecklenburg lists. If I kept an Iredell list I could put it on that one. Maybe I should start one. Western grebe would be a pretty fancy bird to begin a list with. I read a report that a male prothonotary warbler had returned to his breeding territory along lower McAlpine Creek Greenway so I snuck over to take a look yesterday. 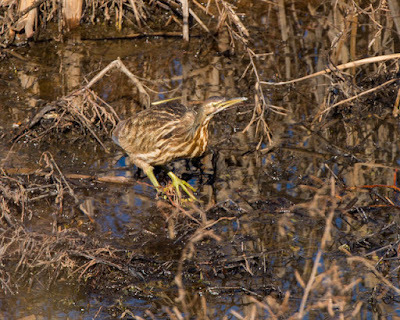 Sure enough, as I approached the described area a loud, rapid, monotonous tweet tweet tweet rang out from a group of small stumps in the swampy muck. 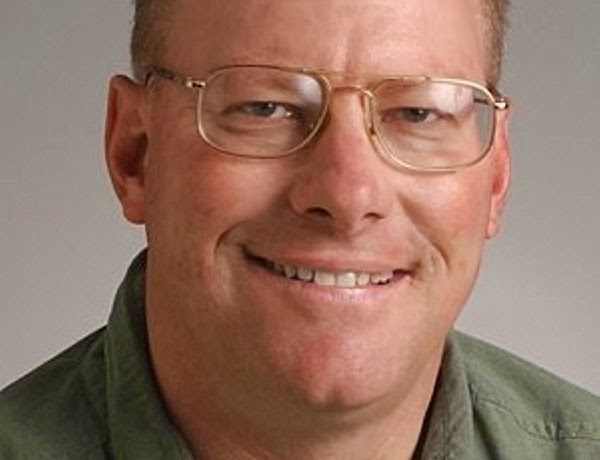 It was the golden swamp warbler indeed! Prothonotary warblers are in my opinion the most brilliantly colored yellow bird in our area. In high breeding plumage, as this one was, the yellow is so deep that it can take on orange tones around the face. See the photo below. The quarreling males flash gold in the shadows of the swamps that they call home. This bird was really easy to see. Park at the restroom building and parking lot off Johnston Road in south Charlotte. Follow the paved trail under Johnston Road. Go just a couple of hundred feet to a short boardwalk extension to the right. 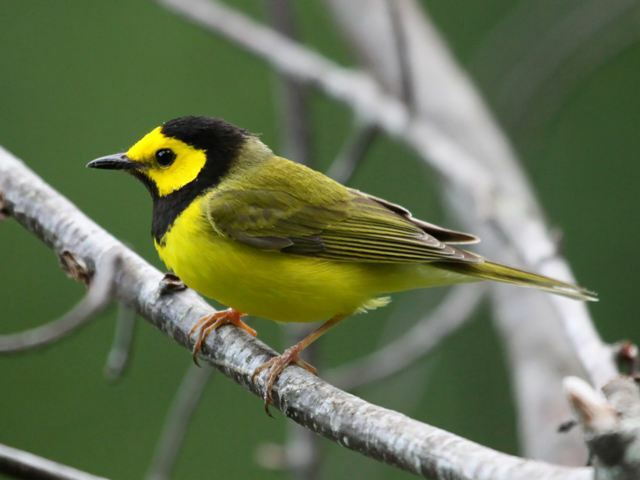 you should see two prothonotary warbler nest boxes in the mud and water. Listen for the loud song and with patience you should be able to see this bold beauty. I first saw her a month or so ago as I stepped out of my house into the attached garage. In the subsequent days I would see her regularly, snooping through boxes, bags, bookcases, and storage shelves. Every time she would scoop away and escape through a small opening in the bottom of the garage door sweeper; a flitting tiny brown form. This has become a yearly spring encounter for me, the local pair of Carolina wrens checking out the garage for suitable nest site. Sometimes they stay outside and try to use the tubular paper box below the mailbox, if they can beat the Eastern bluebirds and Carolina chickadees to it. Not so this year, no one is in the box as of now. Nor is anyone in the patio grill or potted plants either. So last week I began a search for the large globular nest with a side entrance hole I was sure was somewhere hidden in the garage. Christmas wreath; no. artificial Christmas tree; no. Christmas garland; no. inside the Christmas manger, nope. Top of the mop head; again nope. Tool pouch; nah too tight. Garden bucket; no. Garden shelf, yes! I mean no, just a deflated basketball. AmVets bag # 1, not this year. AmVets bag #2, ditto. AmVets bag #3, BINGO! Yes, there she was peering out at me from a depression in the clothes filled with moss and dead leaves. She blinked only once but never abandoned her diligent incubation. Later I would count five tiny cream-colored eggs with brown speckles when she was gone on a feeding break. It’s a safe place. My garage has provided for successful nestings for many years. It’s predator-free; (my old cat quit caring years ago) and the wren doesn’t mind the noisy opening and closing of the doors at all. If all goes well there will be five gaping mouths to feed in about a week or so, and in a couple of weeks after that a family of Carolina wrens milling around the yard quietly talking back and forth in a murmured chatter. 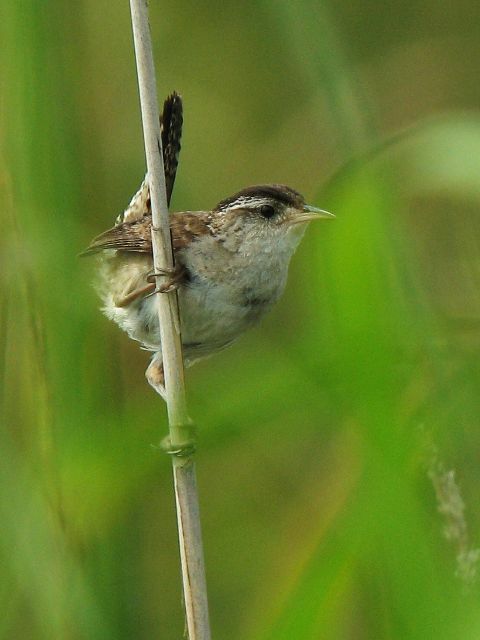 Carolina wrens are notorious for usurping human space and possessions for raising their families. I gladly give them up every year.